787 / , entire, etc. 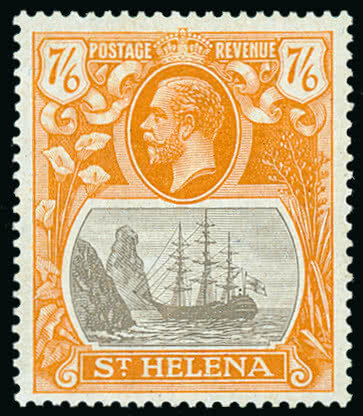 Saint Helena: 1895 (May 21) cover to Birmingham, franked by 1884-94 1/2d. 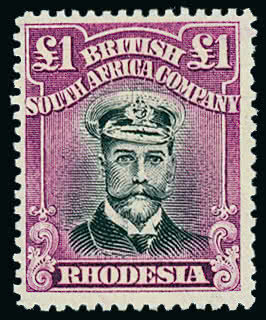 (2) tied by cork cancellations with Plymouth Ship Letter transit on reverse; 1901 (Mar. 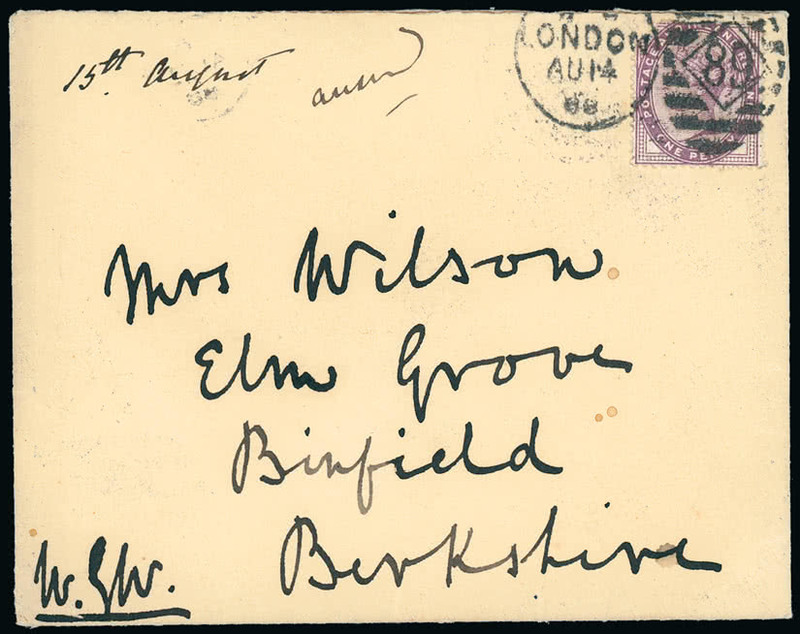 26) censored cover (minor staining) to Nelspoort, Cape Colony franked 1884-94 1/2d. 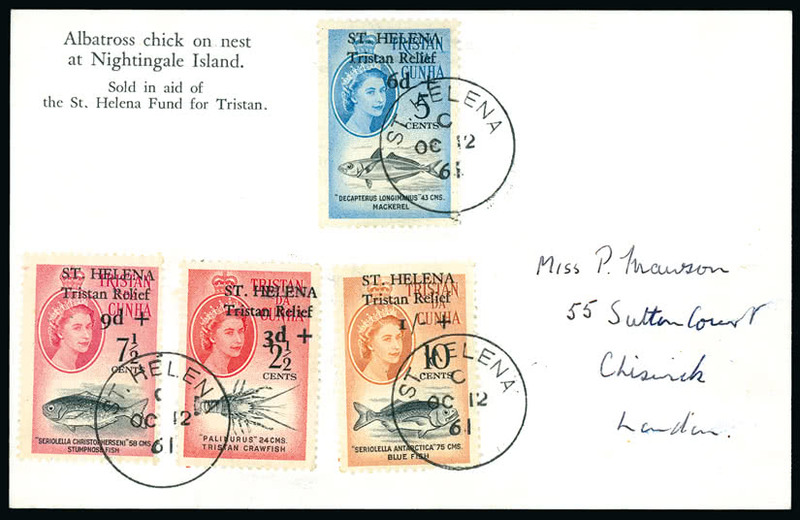 pair with cork cancellations and circular cachet in violet with rare “CDNS” (unidentified) initials. (2 covers) Photo. 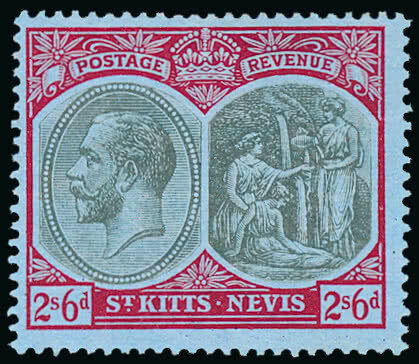 796 Saint Kitts-Nevis: 1920-22 2s.6d. 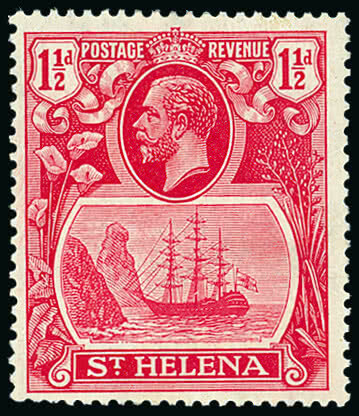 grey and red on blue showing variety watermark sideways reversed, fine mint. S.G. 33x, cat. £325. Photo. 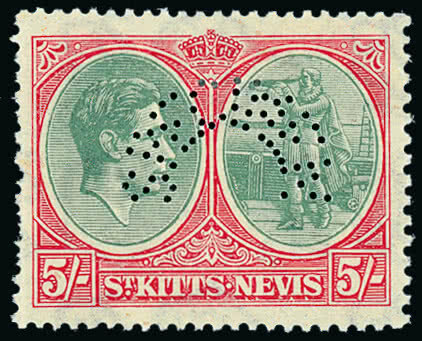 797 Unmounted Saint Kitts-Nevis: 1920-22 5s. 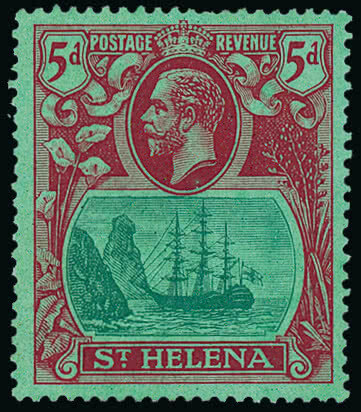 green and red on pale yellow showing variety watermark sideways reversed, fine unmounted mint. S.G. 34x, cat. £250+. Photo. 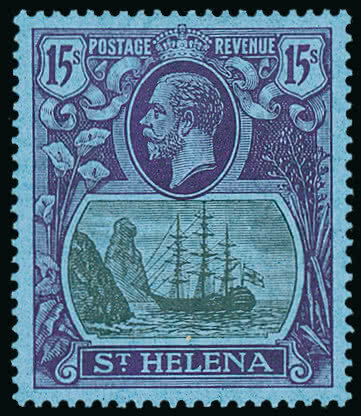 799 Saint Kitts-Nevis: 1938-50 1/2d. to 5s. set perforated “SPECIMEN”, mainly fine with toned gum. S.G. 68s-77s, cat. £325. (10) Photo. 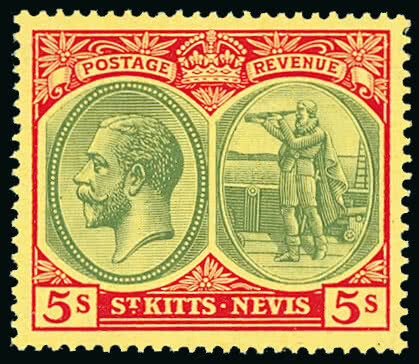 800 Saint Kitts-Nevis: 1938-50 perf. 14 1s. black and green with break in value tablet frame [3/2], also same variety on 1950 Tercentenary 1s, fine mint. S.G. 75ba, 91a.